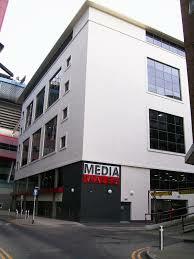 They are a problem for media outlets in Wales as for everyone else. 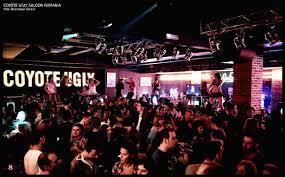 Earlier last month, the internet-based WalesOnline reported evidence at a trial concerning the Cardiff nightclub Coyote Ugly. It said: “Bouncers at a Cardiff nightclub attacked rugby star Shane Williams and his friends while ejecting them from the venue and left his brother unconscious, a court has heard”. Adding that the court had also been told: “Door staff working at the venue ejected the four-man group from the premises but an altercation outside Coyote Ugly, which was caught on CCTV, culminated in Dean Williams lying unconscious on the floor”. It was clearly a nasty incident. 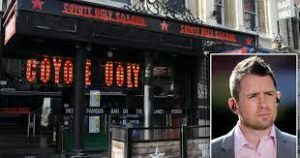 The Cardiff-based newspaper South Wales Echo (in the same Media Wales stable as WalesOnline) said: “A Police Officer who attended an incident at Coyote Ugly, during which bouncers are accused of attacking rugby star Shane Williams and his friends, said she saw blood on the pavement.”. Two days later it stated: “A Doorman accused of attacking rugby star Shane Williams and his friends while ejecting them from Coyote Ugly in Cardiff put one of them in a chokehold for 11 seconds, a court has heard.”. 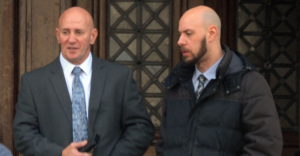 On November 19 Wales Online reported that two of the doormen, or ‘bouncers’, had been found guilty of affray, while a third was found not guilty. Yet the reports omitted to mention the fact that WalesOnline has been a firm supporter of Coyote Ugly in the past. In 2016, 17 ‘stories’ were published on the website about Coyote Ugly, where women dance for customers. One, in December of that year, was headlined: “Watch the Coyote Ugly Cardiff girls practise their moves ahead of opening night”. An earlier item said: “The girls will start their ‘Coyote Bootcamp’ on Monday ahead of the venues (sic) grand opening’. 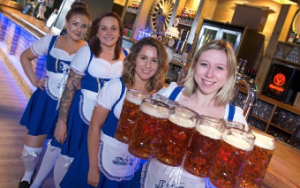 “Following a weekend of auditions, owner’s (sic) at Cardiff’s new Coyote Ugly bar have finished their ‘Coyote Search’ and have recruited a number of girls. But split loyalties are a familiar feature of WalesOnline reports, and it seems that modern news values are spurned on the South Wales Echo. 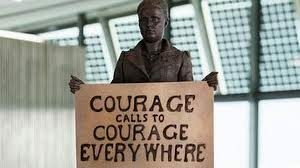 The website has ‘reported’ stories accused of being sexist, yet has also faithfully published reports about the unveiling of a statue commemorating a woman who fought for women’s rights – Millicent Fawcett. More than three years before the report about the Ms Fawcett statue, ironically on the eve of International Women’s Day (IWD) which celebrates the movement for women’s rights, WalesOnline promoted the Miss Wales beauty competition offering readers pictures of “gorgeous girls” and “stunners”. The headline in WalesOnline advertising a piece about it declared: “Miss Wales 2015: Meet the 34 finalists hoping to wear the crown”. 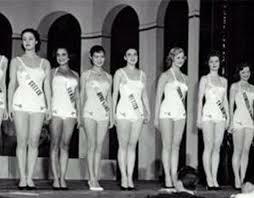 Underneath, a strapline stated: “These are the gorgeous girls hoping to be named Miss Wales … and you’ve got just HOURS to vote for your favourite”. Once again in the South Wales Echo a so-called ‘story’ was published earlier this year which may give a disturbing indication of how certain ceremonies are to be covered in future. 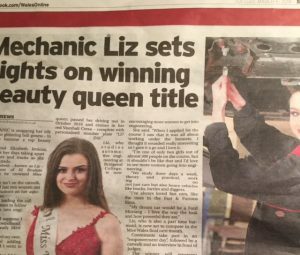 On page three of the paper (the second most important news page after the front where there was a ‘tease’) a full picture of Elizabeth Jenkins was published before this year’s beauty contest. She was shown in her Miss Wales 2018 sash, with another photograph of her at work as a mechanic. As we disclosed last week, the ‘report’ had an intro which could have been straight out of the 1970s: “A mechanic is swapping her oily overalls for glittering ball gowns – in a bid to become a top beauty queen”. Is WalesOnline stuck in the past? The previous month WalesOnline had run pictures of “The women aiming to win the title” with Ms Jenkins one of the contenders in the beauty contest. In another nod to earlier times, she told the website she was striving to “build a better world (which) is always a beautiful mission”. Sexist ‘stories’ like this are not unusual for WalesOnline. 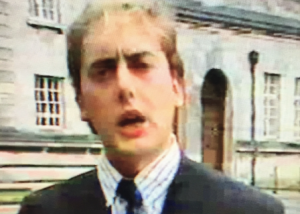 Paul Rowland – ‘satire is no defence against libel’! Beauty contests in Wales are ‘reported’ by the website, along with the opening of bars such as Coyote Ugly, which feature scantily-clad women dancing for a largely-male clientele. But officials there are staunch in defence of their news ‘values’. The Editor of WalesOnline Paul Rowland threatened to sue our Editor Phil Parry following an accurate satirical piece about the number of ‘reports’ the website had published about Coyote Ugly. In last week’s item we showed how he had used the extraordinary words “satire is no defence against libel”, when in fact sometimes it can be. Mr Rowland’s knowledge of what constitutes journalism is intriguing, and he suggested to someone anxious to break into journalism, that writing lists about the best street food was the way to do it. He wrote on WalesOnline: “You might not be interested in ’19 mouth watering street food dishes and where to find them in Wales’, and you might believe it’s not something we should be writing (I wouldn’t agree, but that’s fine). At least reports about a court case concerning an attack on Shane Williams outside Coyote Ugly are not ‘clickbait’. Even if the website has ‘reported’ supportive comments about the nightclub in the past, such as “Watch the Coyote Ugly Cardiff girls practise their moves ahead of opening night”. Also on The Eye – why a top-level investigation has been launched into allegations of sexual impropriety at Police Volunteer Cadets programmes. 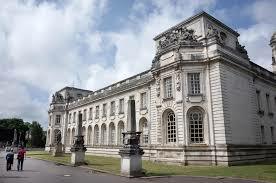 Tomorrow – disturbing details of a ‘dirty tricks’ campaign at a Welsh university where senior officials have been suspended and an inquiry is underway.